Like Buying Money...: Shrimps & Bees & Devils oh my! The football season is seems to be really hitting its stride now with the leagues beginning to take shape & contenders starting to emerge, at the top level we see the start of the Champions League group stages & in the lower leagues the 8th round of matches in a full midweek programme. There are some decent bets to be had & we've looked at all the competitions & various markets to identify the best value punts. The Champions League proper gets underway this week & Manchester United face Portuguese league runners up Benfica away in Lisbon for what should be their toughest game of a pretty easy group. United have started the season in blisteringly good form & are by all measures superior to Benfica however they are likely to change their team around a little as they need to give players game time & have to think about their key domestic matchup with Chelsea at Old Trafford on Sunday. United only conceded one goal in the group stage last year & Benfica lack the attacking potency to breach their defence here however United may not go all out for the win, therefore the safest option is to back Man United to win in the draw no bet market at 2/5. This bet offers decent odds at very minimal risk as only a Benfica win can beat us, with the draw returning our stake & a sizeable bet is strongly advised. In League One, Brentford, under the management of Uwe Rosler face Colchester at Griffin Park. The Bees have won five of their last six games in all competitions; which sees them riding high in 4th place and only two points off joint league leaders Sheffield Utd & Charlton. Whilst Colchester have drawn their last two games, including a home draw on Saturday against bottom of the table Leyton Orient and have only recorded one victory in their last six in all competitions. We fully expect Brentford to confirm both teams recent form at a very generous price of 11/10. 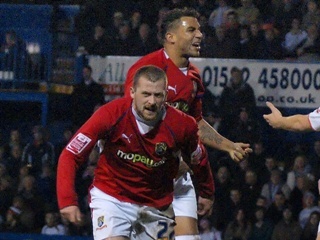 Down in League Two, table toppers Morecambe travel to Moss Road to play Macclesfield Town. Morecambe destroyed promotion favourites Crawley Town 6-0 at the weekend & are unbeaten in their last six league games. This includes winning their last three away games, scoring seven in the process & just conceding the solitary goal. Macclesfield have lost their last two games, 7-0 on aggregate & have only won one of their last six home games in all competitions. Morecambe are in great form & full of confidence, they will take some stopping so make the most of the 6/4 available. Danny Carlton scored 3 against Crawley, has 6 in all competitions & there's nothing quite like an in form striker (as Wayne Rooney will attest) he can be backed at 6/1 to open the scoring. A treble on the above teams returns odds of around 11/2 for a potential big win.